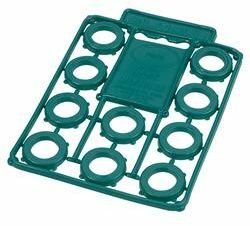 10 vinyl hose washers on tear away sheet. Tear off as you need design. Made in USA. 10 vinyl hose washers on tear away sheet. Tear off as you need design. Please note: You will receive 20 of this item per order.